We are excited to have Ashleigh Faro as a part of the Avant LASIK Spa family. She is an exuberant person whose smile is contagious and whose positive attitude is evident the minute you enter our suite. With over five years of experience in customer service, she feels providing an excellent first impression is paramount to a successful practice and providing a great customer experience! Ashleigh’s smile is the first thing you will encounter when entering our spa. She is welcoming, professional and here to make your experience with us an enjoyable one. As an integral member of the Avant team, Ashleigh also assists the technicians and supports our staff during surgery. Her pleasant and upbeat personality are the cornerstone of the care she gives each and every patient. She is dedicated to making you and your family feel at ease, answering any questions you have both in person and over the phone. We are excited to have Ashleigh at our front desk and as the “face” of Avant LASIK Spa. Tuyen Nguyen is one of the technicians at Avant LASIK Spa. She graduated from Boston University with a Biology Degree, Pre Medicine Curriculum in 2009. After graduating, Tuyen started working in the ophthalmology field alongside Dr. Sheth, one of the surgeons at Avant LASIK Spa, as a scribe and technician at Sheth Horsley Eye Center. Since then, she has worked in multiple refractive practices primarily with refractive patients and assisting in surgery. 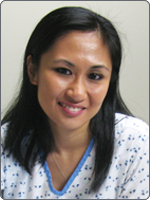 Tuyen is a Certified Ophthalmic Assistant (COA) and is also certified to operate the VISX, Wavescan and Intralase Technology. At Avant LASIK Spa, Tuyen is involved in all aspects of patient care from your initial consultation to assisting in surgery and post-operative care. She is honored to work at a laser center that is focused primarily on providing the best patient care and experience for those seeking refractive surgery.